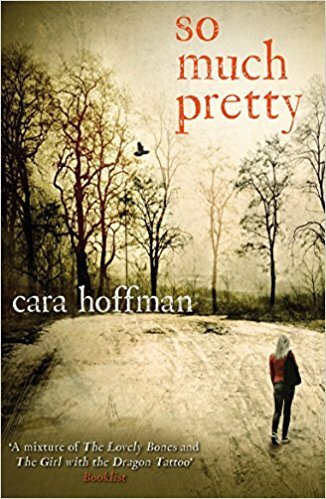 In the small town of Haeden, New York, a strangers face is an unwelcome sight. Families have lived there for generations, working the land, running dairy farms or the most unlucky, live unemployed for generations. So when local waitress Wendy White suddenly disappears, the town pulls together to find her and when her battered and abused body is found months later, they all feel the loss. Or do they? New to the area, reporter Stacey Flynn refuses to let the story rest but with so little to go on, she reports on what she can. This leads to a hard-hitting article, giving an overall view of crimes against women in New York and there is no way she can predict the catastrophic impact this article can have. From reading the rear cover of this novel, you could mistake it for another crime book to add to the likes of Nesbo and Slaughter but it is so much more. This hugely emotive story doesn’t concentrate on the criminal or even the victim but how such a hideous crime can affect a community and one well-meaning individual in particular. The book starts by hinting at crimes that have taken place but not really explaining the full details. Through this, it builds excellent characters before you fully understand their involvement in the story. This works superbly and creates perfect pacing as it unwinds to an utterly immersive and shocking ending. Due to its content, enjoyable may not be the best word to use to describe this book but gripping, moving, intelligent and powerful definitely are. A truly stunning debut novel.